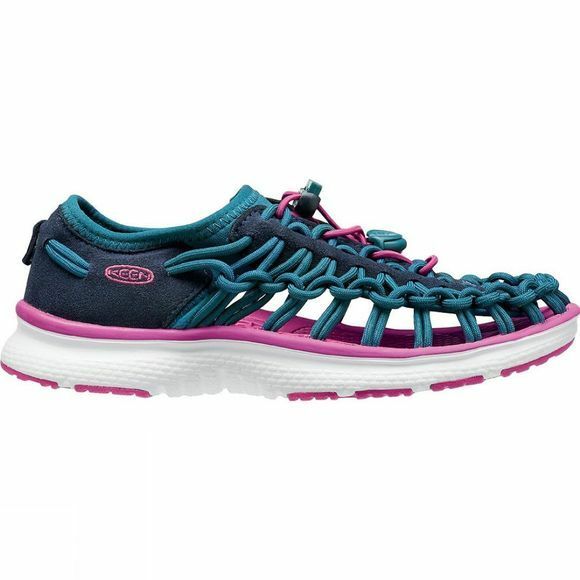 Fun colours and free–moving construction make this Youths Uneek O2 Sandal from Keen is a must–have. 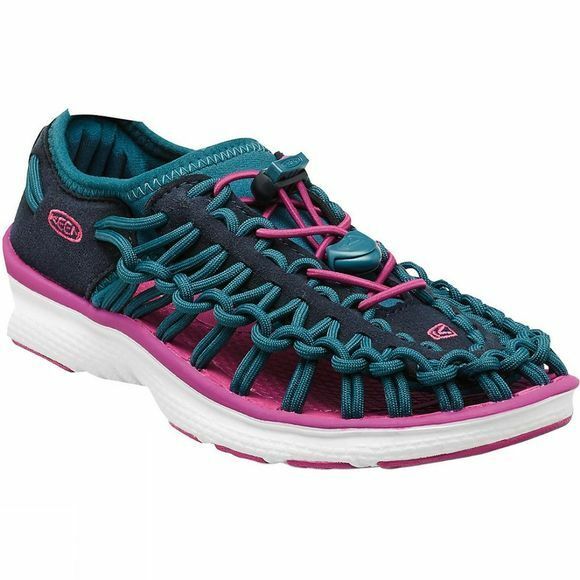 Offering trainer support and a sandal–like feel, the interlocking cords form to kids' feet for a just–right fit. It's comfy enough for a full day of play, and the eye–catching design stands out in a crowd.